High centrifugal force and speed contribute to deep and effective compaction. The slimmer design facilitates handling close to walls, posts or in narrow trenches. Our Rammers are versatile compaction tools developed for work on cohesive and granular soils, e.g. for repair and improvements to trenches, ditches, backfills and foundations. They are easy to handle in every stage of operation and reliable in all conditions – and work equally well regardless of when and how often they are used. 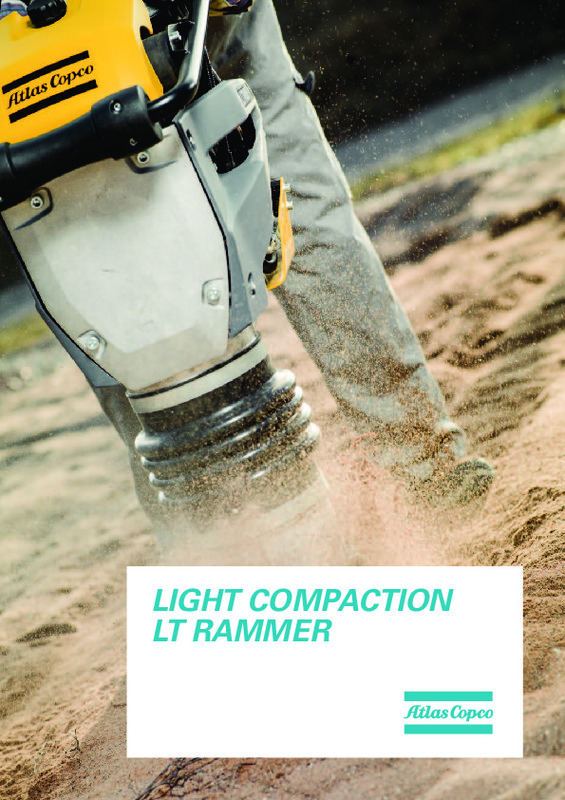 Download the Atlas Copco rammer brochure, including specifications. All Atlas Copco rammers come with a 12 month warranty. Do you need spare parts or accessories for Atlas Copco Upright Rammer?